Londorosi route: It is also located at the western part of the mountain and you can climb it in 6-8 days. 7 Days Kilimanjaro Climb – Londorosi Route is also known as Shira Plateau. It is used rarely as it requires a 4 x 4 vehicle to drive you from Londorosi gate to the end of vehicle track 22km farther. This route is suitable only during the dry season. It is a popular route for honeymoon trips and people who like the trails which are not populated. Climbing via Shira Plateau route looks similar to the Lemosho route. The only difference is that you’ll drive from Londorosi gate to Morrum barrier, about 22km, which takes less than 2 hour and the hike can start from there. Also via this route can be climbed for 6days, 7Days and 8days but we strongly recommend at least 7days itinerary in order to get more time for relax and acclimatization. Day 2 to Moir hut 4200m: Today we will hike about 4-6 hours to cover the distance of 9km also we will cross the middle of Shira plateau a world heritage site to our picnic lunch at fishers point. After lunch we will walk for 1-2 hours hiking through moorland zone and arriving to our beautiful overnight camp located at the base of massive lava flow. Day 3 to Baranco camp 3940m: Today we will keep walking in alpine desert for 9km about 6-8 hours, We will start by climbing over steep hills and very few rock, then steady uphill climb to Lava tower (150m high volcanic plug that juts out the side of the mountain) and stop for lunch around noon. From this point some people might start to feel mild headache due to altitude change. From lava tower we will descend about 2 hours through dust and rock trail to over night at Baranco camp. Day 4 to Karanga camp 3995m: Today is short day for 4-6 hours to cover distance of 6km and we will start by scrambling up the great Baranco wall for about 1-2 hours. In this wall some section will be steep forcing you to use hands to reach and maneuver yourself around rock boulders like rock climbing, Although is not challenging as rock climbing. At the top of the wall you can see Baranco valley and the campsite you spend a night before also you will walk up and down to Karanga valley which is the last water point to the mountain and on top of the ridge it will be our campsite where we will have hot lunch and overnight. Day 5 to Barafu camp 4673m: Today we will have another walking of 4km for 3-5 hours in steep uphill with a lot of boulders and shattered rock crossing upper alpine desert .We will go through a steep ridge until we reach a rocky section more scrambling for about an hour and half. Our next camp will be on large rocky with steep faces and we will have earlier dinner and sleep earlier because we have to wake up in the mid night for summit. Day 6 to Summit to Uhuru (5895m) and descend to Mweka hut: We will wake up around 11:00pm have some tea and snacks dress up warm for the summit. We will start our summit around mid night by start with steep rocks for about 2-3 hours and then we will start crossing zigzag area and keep moving to crater rim and finally Stella point 5756m around 6am. At Stella point we will meet with other hikers from other route and join them heading to Uhuru peak and we will be able to see sun rise on our way or at the summit. Once we arrive at the summit we will stay for 10-15minutes for pictures and view then descend down via the same trail about 3 hours to Barafu camp for resting, brunch and descend to Mweka hut. Day 7 Descend from Mweka hut to Mweka gate (1640m) and drive back to Moshi: Today after breakfast you will meet your Eastland adventures Kilimanjaro crew for group pictures and Kilimanjaro songs afterward we will start descending down via rain forest about 3-4 hours to cover the distance of 10km, Also if you will be lucky we can see blue monkeys, black and white Colobus monkeys and other wildlife. 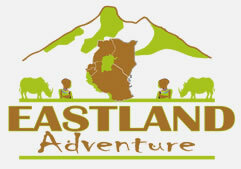 At Mweka gate we will sign out in Kilimanjaro national park log book and our guide will collect certificate for those manage successful summit then drive to your hotel in Moshi for hot shower and Kilimanjaro beer. 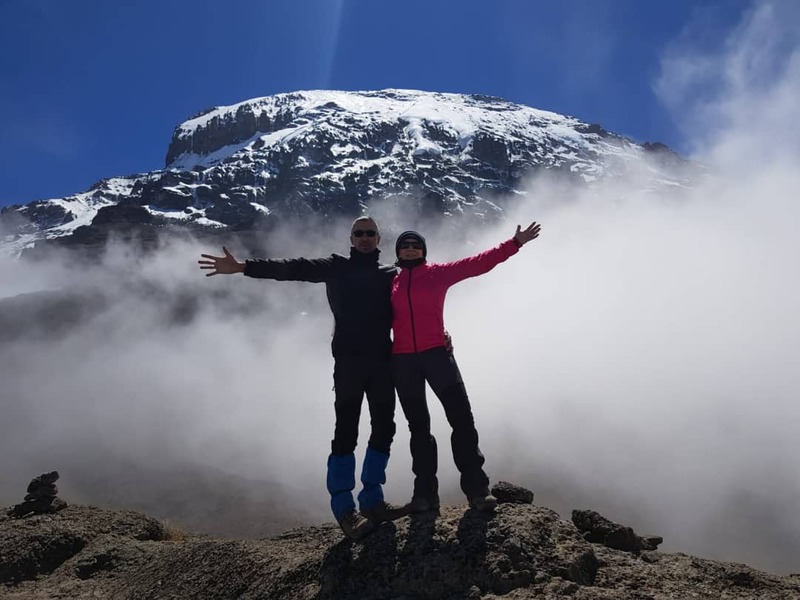 This is an option for people who want to sleep in the crater camp and also its offers more acclimatization and time to explore Kilimanjaro summit, glaciers and ash pit, also its a bit expensive compare to other normal routes. Please contact us for more information if your interested in this itinerary.